2.It is used for conveying water,petroleum,gas and other common fluids and common building structures. 5.Length: 5M-12M random length or 6m fixed,or 11.8m fixed.Cut tollerance +-10mm. Hexagonal bundles of max. 2,000kg with 6 steel strips bundles, black paint coating,beveld ends or plain.Caps both ends. 8.Delivery tollerance:+-10%,or +-8% or +-5%of total quantity and amount. 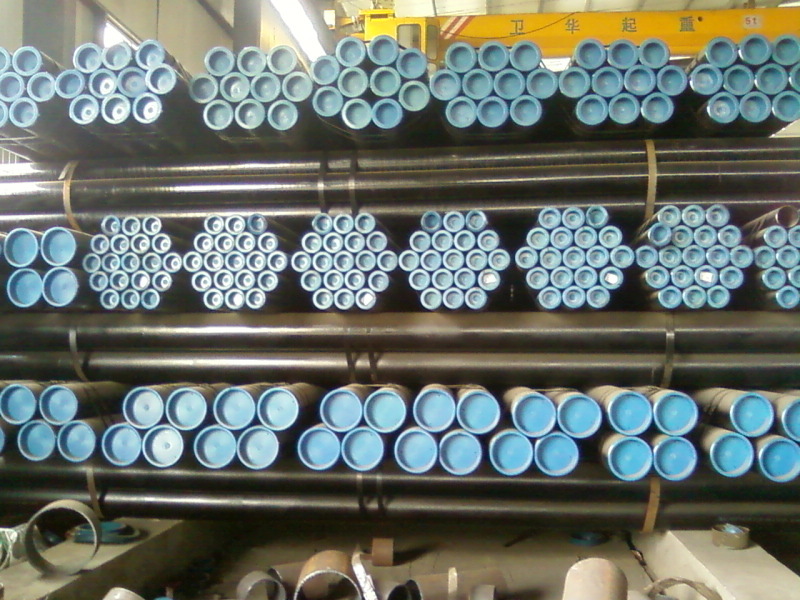 9.Black Steel pipe test:Chemical Component Analysis,Mechanical Properties(Ultimate tensile strength,Yield strength,Elongation),Technics Properties(Flattening Test,Bending Test,Hardness Test,strike Test,etc), Exterior Size Inspection, Nondestructive Test,Hydrostatic Test. 10.Heat treatment: BK, BKS, GBK, NBK,Stress Relief, Normalizing, Spheroidize Anneal, Annealing, Bright Annealing, Normalized, Quenched and Tempered, Solution Annealing, etc. Nominal Pipe Size Inches Outside Diameter Tolerances-Inches Or Percent of O.D. (1)Specification A120 has been discontinued. sizes over 10" IPS in heavy walls of A53 & A106 pipe. (2)Some mills may require ± 1% of nominal O.D. for sizes over 10í IPS in heavy walls of A 106 pipe.